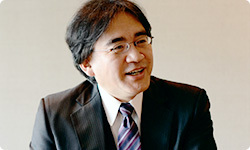 Editor’s Note: This Iwata Asks interview was held after the release of Nintendo presents: New Style Boutique in Japan, but before the release of the game in South Africa. Thank you for coming today. This interview is being held somewhere different than usual. A lot of light is coming through the large windows, and the room has a slightly different tone. 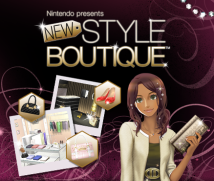 The Nintendo presents: New Style Boutique game was made quite differently to the previous Style Boutique1 game for the Nintendo DS system so I have been wanting to ask you about it, but our schedules always clashed, so we’re doing it after release. Most of the time, we hold these Iwata Asks interviews before release, but I’m having you get together now because I thought that Nintendo presents: New Style Boutique, was worth asking about even after release. So thank you for coming.1 Style Boutique: A fashion-styling game released for the Nintendo DS system in Japan in October 2008. I’m Sasaki from Syn Sophia.2 I was the director. 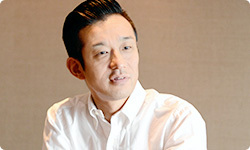 I thought of all sorts of new ways to play to make the game more interesting than its predecessor, and worked as the team’s organiser to lead all the staff members. 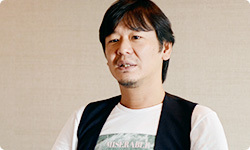 But mostly, I made lots of items — like a factory production line — that appear in the game.2 Syn Sophia, Inc.: Developer of games such as SimCity DS, Ganbaru Watashi no Kakei Diary, and Mawashite Tsunageru Touch Panic. 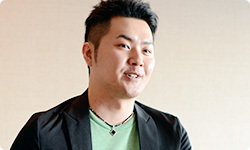 They also worked on the development of Style Boutique. 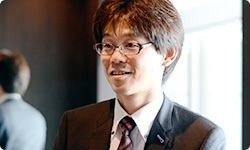 Formerly, AKI Co., Ltd.